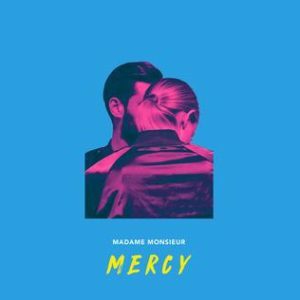 One of the first acts to be chosen all the way back in January, Madame Monsieur captured the French public on their fantastic selection show Destination Eurovision. ‘Mercy’ tells the story of the migrant crisis from the perspective of a child – their muse aptly named Mercy. It’s a powerful message that resonates whether you can understand the language or not. 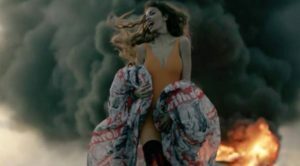 The simple refrain in the finale, playing on the word Merci and the title of the entry, is an engaging climax to an emotive and powerful contribution from a country that are increasingly taking Eurovision even more seriously. Fan-favourite (and hopefully not fanwank) Saara has crossed borders with her incredible voice and infectious personality. Much will be mentioned about her regular appearances at Finland’s selection UMK and her penultimate finish on X Factor UK but ever-the-bridesmaid Aalto is going for gold with her Debs penned anthem. ‘Monsters’ was one of three potential entries she presented after being announced as Finland’s choice and was miles ahead of the other two entries (both of which were also pretty stellar, might I add). As for staging, we are expecting quite the show and if anybody is going to deliver one, it’ll be Saara Aalto, surely? The Ukraine is sending a male vocalist; this is not a drill! Probably not because of the male-fronted O.Torvald’s performance last year, though, after they didn’t come close to replicating Jamala’s success. Regardless, the country are breaking with their previous tried and tested (“and winning!” – Jamala & Ruslana fans) formula of solo female performers. This isn’t to say that Tayanna didn’t give Melovin a run for his money at the Ukraine’s Vidbir selection, mind you, but it was the fiery performance by the dark prince himself that captured the audience’s hearts. His iconic look (he has 50% less chance of losing a contact lens than your average male) also helps him to stand out from the crowd and his bombastic entry ‘Under the Ladder’ should get the Ukraine back on form after a year off. It’s serious ballad time, folks. 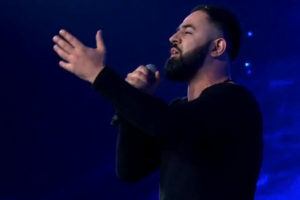 Armenia never fail to deliver a unique entry (Artsvik last year, anyone?) but Qami is a little less about shock-value and more about Sevak’s powerful voice and the beauty of the Armenian language. ‘Qami’, or ‘Wind’, builds to a final crescendo in a similar style to Aram MP3’s ‘Not Alone’ and whilst ‘Qami’ may not be as innovative or astounding as the latter, Sevak’s voice is going to elevate this more so than Aram could. This is one track this year that is criminally underrated. Nothing is safe from Eurovision’s more-is-more attitude, not even musical genres. Eye Cue move from funky slow-jam to indie build up and full dance-along chorus. Where poor Agnete failed in 2016, these guys really show how it’s done. 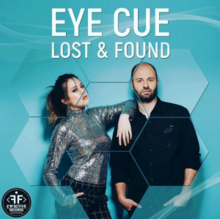 Grabbing your attention with each change in pace and style, Eye Cue are an exciting prospect that may deliver FYR Macedonia’s best result since Crno I Belo. Since Helena Paparizou took home the trophy, Greece have failed to replicate her celebratory, ethnic Eurovision anthem. Last year Demy took things a little too mainstream with her generic party track ‘This Is Love’, possibly to counteract non-qualifiers Argo the year prior. Yianna is much closer in sound to Argo than she is to Demy or Helena, but she pulls it off with gusto – her passionate vocals and entirely-Greek lyrics give ‘Oneiro Mou’ an authentic charm that may not be as instantly infectious as ‘My Number One’, but has a stunning instrumental bridge that transports you to another world. Now this harks back to the Eurovision of the past, but brings with it a modern and invigorating production. If you miss the satisfaction of a massive chorus, this has it. If you long for a pop-drop which seems to be the trend these days, ‘Fuego’ has that too. On top of it all, Eleni is a glamorous and charismatic performer that will no doubt elevate this even further live. And for staging? I mean, it’s called ‘Fuego’…. Azerbaijan are one of those countries that take Eurovision extremely seriously. It’s no surprise then that Aisel’s 2018 entry ‘X My Heart’ (that’s cross my heart by the way) sticks to their usual formula of slickly produced pop with an instantly infectious refrain. There is something magic in this song, though, an x-factor (see what I did there??) that can’t be manufactured and had been missing in the similarly generic ‘Miracle’ by Samra and divisive winner ‘Running Scared’. 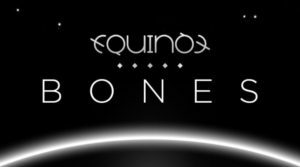 The euphoric sing-a-long ‘Sto-o-o-o-op’ is a real highlight that grabs you on first listen and, let’s not forget, the song has the fantastically crazy ‘Luna moon me up’ line that is so Eurovision, innit? A lot of people consider the track a cold and calculated attempt at a Eurovision hit but when fast-food music sounds this good, does it even matter? The Estonian entry, performed in Italian, because why? Because Eurovision. The landslide victor of Estonia’s Eesti Laul selection, ‘La Forza’ is the prime example of how to develop an 8/10 song into a 10/10 performance. There has been a lot of debate about whether her iconic dress will make it to the contest but it was recently revealed that – hooray! – it will be flying out to Lisbon. This will come as a relief to the many fans that witnessed the dramatic performance she gave at the national final. As the song swells, the dress erupts with a swirling light giving dynamism and energy to what could easily have been a lazily staged number. 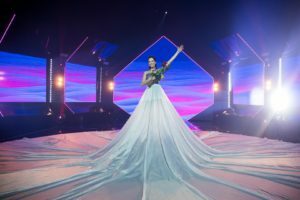 The dress also envelops the entire stage – this is a true glow-up of Aliona Moon’s 2013 staging. We can also breathe a sigh of relief that Elina clearly knows how to handle this live, despite no appearances at the pre-parties. Her odds may have dipped due to the absence, but this could (and in my opinion – should) scale the hefty heights of the ESC scoreboard on May 12th. Anyway, that’s just my opinion – what’s yours? As it stands before the live shows kick off, I might add, but there is plenty of variety on offer in the 43 entries this year – which are your favourites? I’d love to read them in the comments below!